What is the best way to water plants? 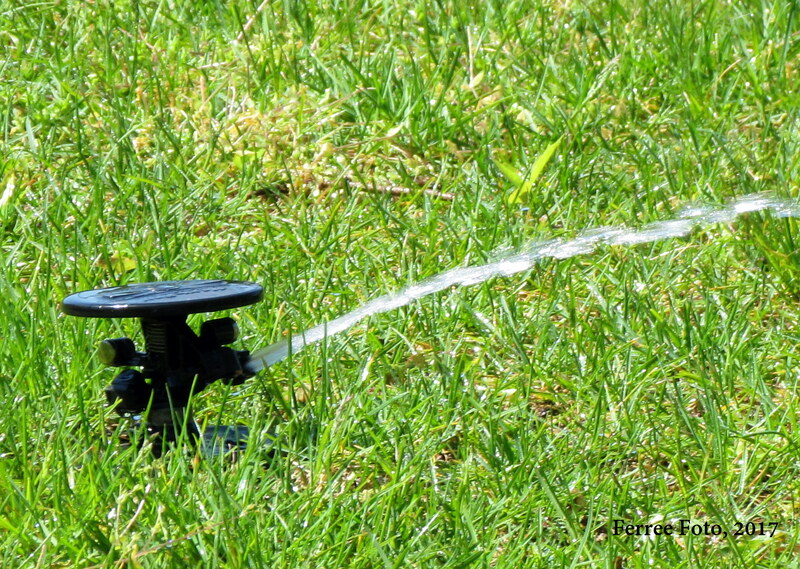 Community watering restrictions, rural water shortages, and high water costs sometimes require homeowners to make some tough decisions about outdoor water use. Here are ten wise watering tips for gardeners. Establish plant priority needs for water by watering only your most valuable plants. Consider a plants value, its replacement costs, and how long it takes to grow a comparable plant when deciding which plants to water. Learn symptoms of plant drought stress so you know which plants need water the most. Leaf wilting, folding, and rolling are a first sign of drought stress. Some plants will conserve their internal water reserves by dropping leaves or causing leaf edges to turn brown. Leaves on plants may wilt and other burn on the edges. Know if your community has a watering restriction and follow those guidelines for watering landscape and garden plants. When you do water plants, soak, don't sprinkle. The best way to water plants is thoroughly and less often. Once every week or two if enough, depending on the plant and environmental situation. Water between 9 pm and 9 am to avoid evaporation losses and thus conserve water. 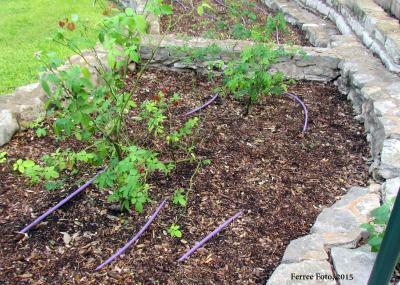 Put water right where it is needed by using drip irrigation, soaker hoses, root probes, or tree watering bags. Use mulch to conserve water in the soil. Manage plants to avoid unnecessary plant stress. To do this, don't fertilize or prune plants during a drought. These practices could initiate new growth that the plant can't support. Look for alternate water sources other than the outdoor tap. Collect rainwater with buckets and rain barrels. Collect water that drains from your air conditioner. Consider using your household gray water by collecting dish and bath water. Collect water used for rinsing fruits and vegetables and reuse it to water houseplants and/or shrubs. Or, simply place a bucket in the shower to collect water for reuse outdoors. Practice sensible lawn care. Mow tall – taller grass has deeper roots and shades the soil surface. Allow your grass to go dormant. If you must water to keep it alive (and not just dormant), remember to soak, not sprinkle and don't let the grass bounce between active growth and dormancy. More Illinois drought information is found at http://web.extension.illinois.edu/drought/.